When I was asked if we'd like to try out the Cakebread Toy Poodle family we jumped at the chance having recently got our own puppy which is a cockapoo the Toy Poodle family is the closest we could get to our own pooch. 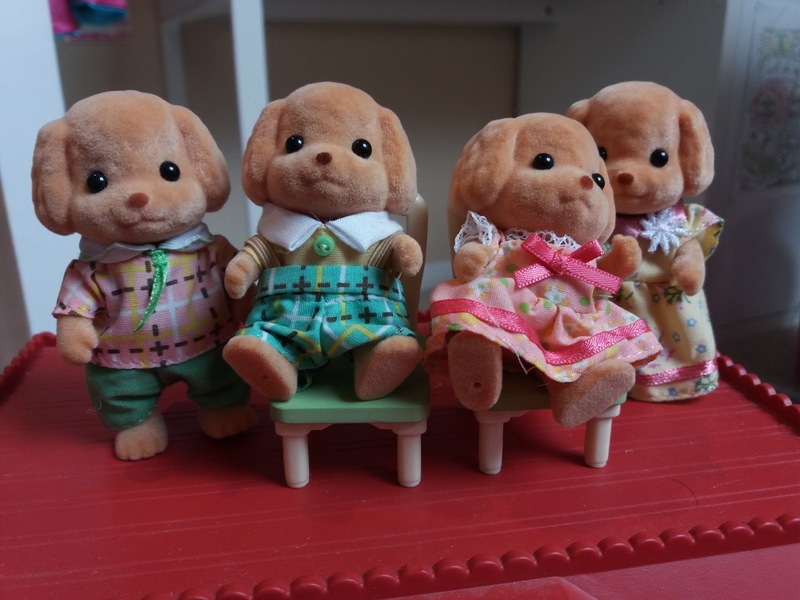 Like most of the Sylvanian Families family sets this set comprises of a father, mother, brother and sister - the Sylvania equivalent of 2.4 children! Father Frank Cakebread is good at sports. He's very generous about his hobby and always plays soccer or catch with the children in the village on weekends. 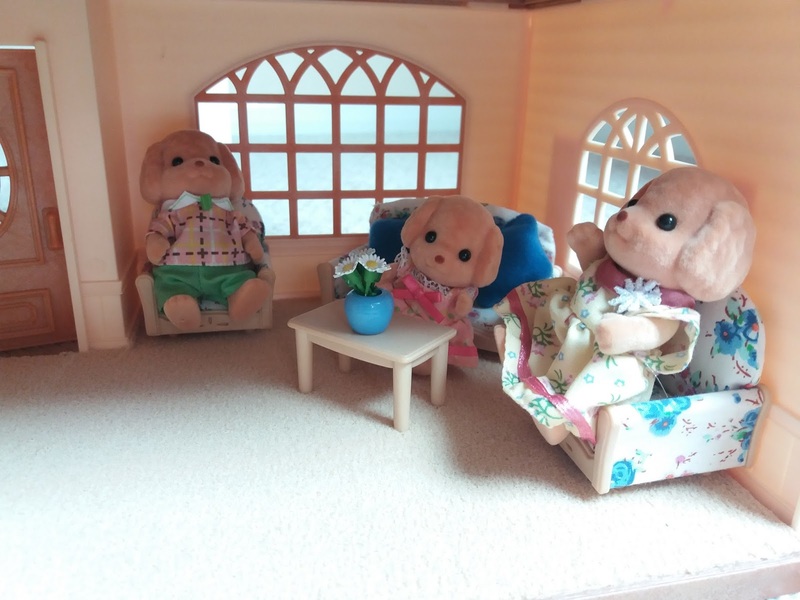 The children also like Frank's clothes - whether he's wearing ordinary clothes or dressed for sports, he always wears a great outfit. On most other days, he is icing cakes with Melinda or playing catch with little Eric and his friends in Sylvanian Village. Mother Veronica Cakebread is the pastry chef at the Village Cake Shop. Everyone in the village loves her beautiful cakes with decorations that look like jewels. Whenever someones birthday or another special occasion is coming, the villagers always go to her cake shop. Brother Eric Cakebread is top of the class at school and is good at helping his friends when they don't understand something. Everyone goes to him for help because he knows just how to explain things so that people will understand. But sometimes he cares too much about his marks. When he doesn't get full marks in a test, he gets so disappointed that he runs home alone as soon as school is over. Sister Melinda Cakebread is an outgoing girl and makes friends very easily. She loves baking cakes; one day her mother made a new cake and invited all of the children around for a tea party. Melinda had so much fun that she's learning how to bake cakes from her mother so that she can have a tea party of her own. This set arrived and was easy to open (nothing more frustrating than battling with oodles of packaging) with the animals wired onto the cardboard insert. Most of the packaging is recyclable too which is also good. This particular set has flat hands so they are not able to hold anything which is a bit of a shame and something I would change. 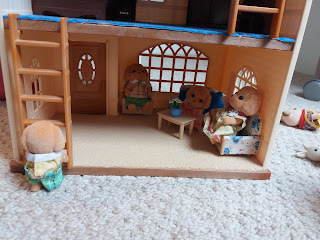 It's good for the children to create scenes when they are able to set the figures up holding onto some of the littler items, such as a cup or bottle. I'm no dog aficionado so not really sure I would recognise the breed they're supposed to be. What do you think?? 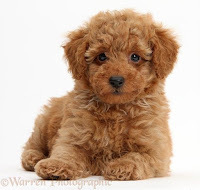 Incredibly cute Toy Poodle puppy! The set has an RRP of £17.99 but like most things if you keep your eyes peeled you can get it for around the £14 mark. If you just can't wait then you can pick one up from Amazon here Sylvanian Families Toy Poodle Family . As always the verdict from the children is whats important as its them that have the pester power. They loved them and have booted out another family to allow the Toy poodles to occupy the bottom floor of one of the houses (we have far more families than housing...pretty much like Britain!!). They were also keen to know if there are babies for the family to buy separately...and the answer is of course YES! NB/ I was not paid for this review but the item was provided to me for the purposes of review and for my honest opinions. This review contains affiliate links.